~~Yesterday was a long, tiring, but productive day. My Mom took care of Savannah and picked up Sierra from school so that I could do some Christmas shopping. It was an all day thing. Uggg! I'm not much of a shopper, lol. I just don't do crowds very well. I'm much more of a homebody. But the good news is that the majority of my shopping is now done. Yay! ~~I'm going to have to find a way to get some art time in. All the busy-ness of Christmas shopping, birthday planning, etc, can get really stressful. One of the only times I feel that my mind is calm and still is when I'm lost in something creative. I'm not sure when that time will come though. I've got so much to get done today that I think my brain just short-circuited! 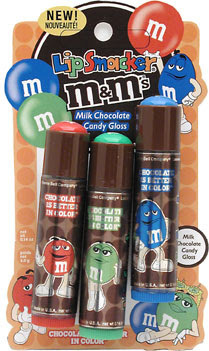 ~~One cute thing I picked up for the Girl's stockings yesterday were these M&M lip balms. We saw them at the M&M World in Vegas and almost picked them up there. I was surprised to find them at Wal-Mart yesterday. They come in a pack of three so one is Mommy's! They really smell like chocolate and though they don't exactly taste like it, they're still pretty good. So good in fact that I'm afraid Savannah may try to eat hers! 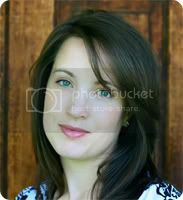 ~~We are one of the fortunate ones here in Oklahoma. So many people are still without power and are dealing with major damage from the ice storm. My prayers go out for them today. Those are really cute! I would love them if I was a kid, too! That is my kind of lip balm. We did some shopping today, hope we are done, too. Now for all the groceries and cooking! Hey, girl! Those look yummy... you're making me want real chocolate. lol And bravo on having most of your shopping done! I've done almost nothing.